We get another warm day today and then we head into the deep freeze again. 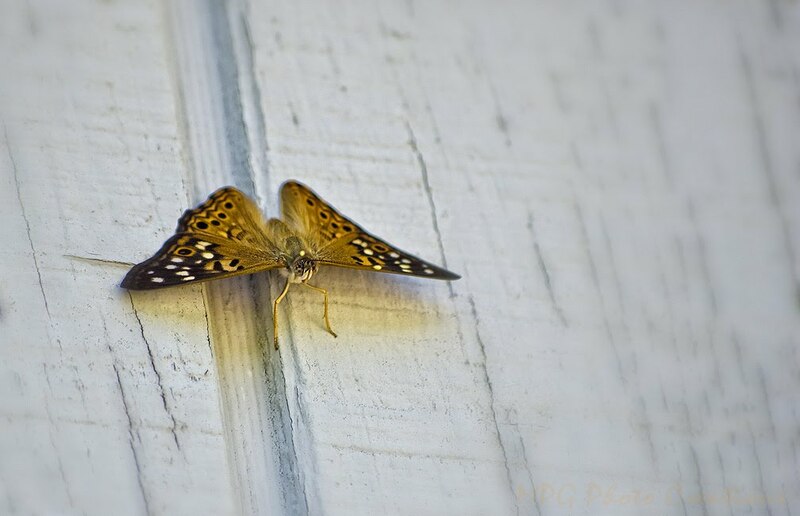 Thinking of warmer days, this is an older image of a Hackberry Butterfly warming itself in the sun on the side of our house. 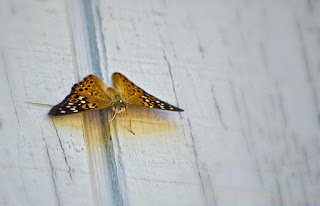 It's vibrant color and perfect wings indicate it's probably newly emerged.